I get asked all the time what my recommendations are for common low carb diet ingredients like sweeteners, almond flour, etc. so I decided to put together a pantry page and list all of my current favorites. Even so, I am only recommending items on this page that I personally use or have used, and that I think are worth the money.
. The money you’ll save ordering your ingredients through them, as opposed to purchasing at grocery and health food stores is significant, especially with the free shipping. More than enough to justify the cost of becoming a member in my opinion! Just something to consider! Immersion Blender – essential for making low carb soups without having to transfer them to a blender, it also does a great job with making small batches of whipped cream super fast! I use this for my bulletproof coffee and it is creamy, frothy, perfection! 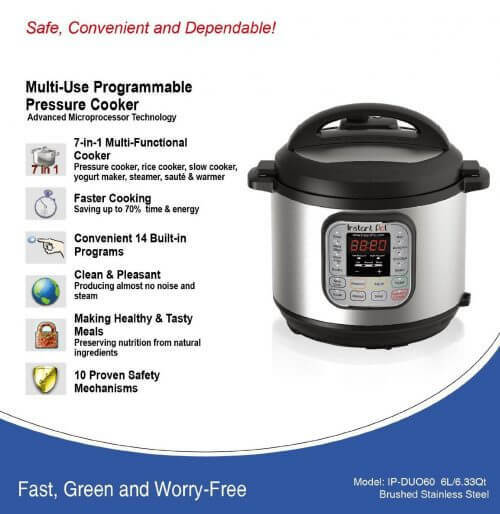 Crockpot / Slow Cooker – everyone should have one of these. Set it and forget it. The end. Magic Bullet – I love this thing for making cream cheese pancakes, dressings, gravies, and even the Better Than Potatoes Cheesy Cauliflower Puree! It’s easy to use and clean for those smaller batches! Vitamix Blender – sometimes you need a big workhorse of a blender and this Vitamix is my baby. I’ve had it for 7 years and it works as well today as it did when I bought it. You can blend your own nut flours, make coconut and other nut butters, and larger batches of soups, sauces, etc. It’s so powerful that you can throw your raw ingredients into it, blend it for five or six minutes and it generates enough energy to cook your food while it’s blending, and you’ll have hot soup when you turn it off. Pretty amazing! It’s also great for green smoothies! Dutch Oven – awesome for simmering bone broths, soups, stews, and sauces it also goes from stovetop to oven and back making it super versatile for searing a piece of meat on the stove top and then sending to the oven for a slow braise for a few hours. Mmmm….pot roast for dinner! Veggie Spiralizer – there is no end to the fun and delicious creations you can make with a spiralizer! It turns all kinds of fruits and veggies into tasty low carb, gluten free and paleo friendly noodles for salads or to replace traditional pasta! It’s a great addition to your low carb kitchen! A Great Knife – I use my chef’s knife for almost everything, but a good paring knife also comes in handy sometimes! There are lots of great brands out there but my absolute favorite knives are from Global. They are easy to clean and have no joints or crevices to harbor bacteria in! They are an investment but will last a lifetime and stand up to endless sharpenings. This is a great starter set and I also have this one which I use constantly! Nonstick Cookware – I’ve switched from teflon to ceramic and never looked back! You can find good deals on these at almost every store – especially home stores like TJMaxx and Homegoods. Parchment Paper – I’m listing this in essential kitchenware because I use it ALL the time! It’s so helpful with baking especially because it keeps things from sticking, makes them easy to remove without breaking, and also prevents baked-on gunk making dishes a lot easier! I buy it in bulk at Costco usually but you can order it online as well. I’m dedicating an entire section of the pantry page to the Instant Pot, because I love it that much! It has replaced my regular pressure cooker, several crock pots, and a rarely used rice cooker that I busted out when I was cooking for company. The Instant Pot is amazing because of it’s versatility, and the fact that you can now store one appliance that does everything and get rid of all of those other bulky appliances I just mentioned that are taking up valuable shelf space in your kitchen or pantry. You can make meltingly tender ribs, pot roast, and other tasty low carb dishes in less than an hour! What’s not to love? Here’s a photo of the box, which outlines the highlights. If you’re intimidated by a traditional stovetop pressure cooker, then you can rest easy with the Instant Pot – it’s safe and so easy to use! You’ll never look back once you try it! It also won’t heat up your kitchen like a stovetop pressure cooker or even a typical slow cooker can when it’s on for 6 hours! Don’t fear all those buttons – this thing is SO easy to use! Mostly I use the saute button to sear my meat or veggies first, then I put the top on and usually press Manual, High Pressure, and put in my time. That’s when the magic happens! Finally, I love that I can remove my meat and/or veggies when cooked, and then use the saute feature again to reduce my sauce if I want it thicker before serving! This way I’m not using any extra pots and it makes cleanup so very easy! And we haven’t even started talking about the fact that it makes yogurt, rice (or cauliflower rice), and can be used in place of your slow cooker if you want to set it and come home to dinner made after work! All in one genius appliance that costs around 100 bucks depending on the time of year! I HEART IT SO MUCH. 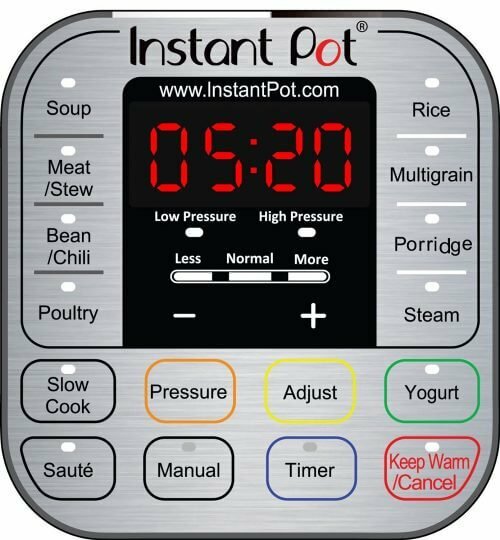 If you have questions about the Instant Pot or want to see video demos, check out their official Instant Pot website! Made from blanched ground almonds, almond flour is a commonly used wheat flour substitute in low carb baking and breading. It works well in cookies, cakes, and other crumbly applications. Use the best quality and finest grind you can afford to get the best results in baking. I order any one of the following brands on Amazon (Honeyville or (Wellbee) depend on who is offering the best price when I’m ordering. I also order the 5 lb bag to get the best deal and I store it in the freezer so it doesn’t spoil before I use it all. High in fiber so the net carbs are relatively low, coconut flour can be used in countless ways and is generally cheaper than almond flour and a little goes a long way. I use it in breading, for baking, to thicken sauces, etc. I order this from Amazon as well and usually in a 3 or 5 pound bag, which I then store in the freezer to prolong freshness. I’ve tried many brands and Anthony’s Organic and Nutiva Organic are my favorites for the price. A natural low carb thickener, xanthan gum can be your new best friend in the kitchen. It is carb free and works to make gravies and sauces thicker, liquids more syrupy, and to condition baked goods. It’s inexpensive and a little goes a long way. I order mine on Amazon but these days it’s relatively common to find it in the baking aisle or gluten free section of your grocery store as well. I’ve found that there isn’t much difference by brand so I usually purchase whatever is cheapest. My preferences for low carb sweeteners has changed over the years but one thing has remained the same – I use sweeteners in all of my recipes that measure cup for cup like sugar. That way you can sub in real sugar, or figure out how much of your preferred sweetener to use in my low carb recipes. If you are using a liquid sweetener in drop form and want to know how much you’ll need, just use whatever that company states as their equivalent to real sugar. At the time I wrote this 1/2 cup sugar or cup for cup granulated sweetener (Swerve, Splenda Granulated, Ideal) was equivalent to 1/4 tsp Ezsweetz drops. Just be aware that liquid sweeteners won’t always get the same results, especially in baked goods. To find out what your brand’s equivalent is, you can usually find a chart on the company website. My current favorite low carb sweetener is Erythritol. I use the Swerve brand right now and I like it because it behaves very much like real sugar in how it melts and caramelizes. It also provides a pleasant texture in baked goods – all with no added carbs from maltodextrin like in Splenda and some other brands. It’s definitely pricier than some other brands but for me it’s absolutely worth it. As a bonus they also have a confectioners style powdered sweetener. I use this in a lot of my Asian recipes because it adds a complex and authentic flavor with no soy or wheat. Red Boat brand has hand’s down the best flavor and no added sugar. Sometimes only soy sauce gets the flavor you want and there are many gluten free versions to choose from these days. A lot of grocery stores carry them in the Asian or gluten free aisle, but if you can’t find it locally there is always Amazon. I use a lot of flavored extracts in drinks, candies and baked goods to get the flavors I would normally achieve from fruits and other things – without the high carbs. I don’t have a brand preference, but have found that Watkins has a lot of hard to find flavors, and there is a much larger variety online then you’ll usually find in the grocery stores. If you click this link there is a bar on the right to choose from their 23 different flavors. Sugar free flavored syrups are an excellent way to add sweetness and flavor to a recipe with no calories or carbs. The two most popular brands are DaVinci and Torani. Many of my recipes use sugar free chocolate, coconut, and even mango flavored syrups in them. These are not to be confused with a chocolate syrup that is brown and thick and goes into chocolate milk by the way – they are very concentrated, usually clear and can be found in the coffee aisle of your grocery store. For harder to find seasonal flavors like Speculoos Cookie, Brown Sugar and Cinnamon, and Pumpkin Pie, I usually order from Amazon. That being said, if you live near a Cost Plus World Market, they usually have a pretty good selection at a decent price. You can also sometimes find them in the gourmet food sections of TJMaxx, HomeGoods, Marshall’s, etc. Just be sure they are sugar free before you buy them! If I’m going to eat chocolate I want it to taste GOOD. Your recipes will only taste as good as the chocolate or cocoa powder you use so be sure to use the best quality that you can find. I like Dutched Cocoa powder for a less bitter taste and my favorite brand is Saco, which I can find sometimes at the grocery store and always on Amazon. For real chocolate I use a 90% or higher cocoa content to keep the sugar down. Lindt 90% is easiest to find in the grocery stores, but Trader Joe’s has a good dark chocolate as does Cost Plus World Market (99% cocoa!) so I usually stock up when I go. While coconut oil got a bad rap in the 80’s and 90’s, studies have shown that it’s actually a very healthy and stable saturated fat. It’s an excellent dairy free replacement for butter and can be used almost interchangeably in most recipes. It has a low smoke point so isn’t fantastic for frying. Always go organic and cold pressed for the best health benefits. This is my new favorite oil for frying and salads! It’s got a high smoke point and a really light flavor – not to mention that it’s super healthy for you. I get mine at the local BJ’s for a pretty good price. I think Costco also carries it but I don’t recommend buying it at a regular grocery store or it gets really spendy. Amazon is your friend if you don’t live near a big box store to get the best price. Extra virgin olive oil is healthy for you and has a distinctive flavor that makes it great in salads and other cold applications. I also like the flavor it adds when I saute some of my italian flavored meatball recipes. Just be careful not to let it get too hot or it will scorch. I prefer organic and purchase it at Costco when they have it or on Amazon. Coffee Booster – this stuff is amazing! Some of these links are affiliate links, which costs you nothing extra but helps support the running of IBIH with a few pennies on the dollar by the companies that I recommend should you choose to purchase from them. Thanks for your support!